On average, there are 100'000 to 150'000 hair on our head, and we naturally lose approximately 50 a day. One long growth phase (anagen) lasting 2-6 years (in other terms, over 80% of your hair are anagen). Then comes a resting period (catagen) for 3 weeks. Hair stops growing, but remains in place. Circa 5% of your hair is in this stage. The last phase of the hair cycle corresponds to the bulb's atrophy and a hair loss (telogen) period which lasts 2-4 months. A new bulb replaces the previous one, and a new anagen stage commences with a new hair growth. This follicular phase concerns 10-15% of your hair. 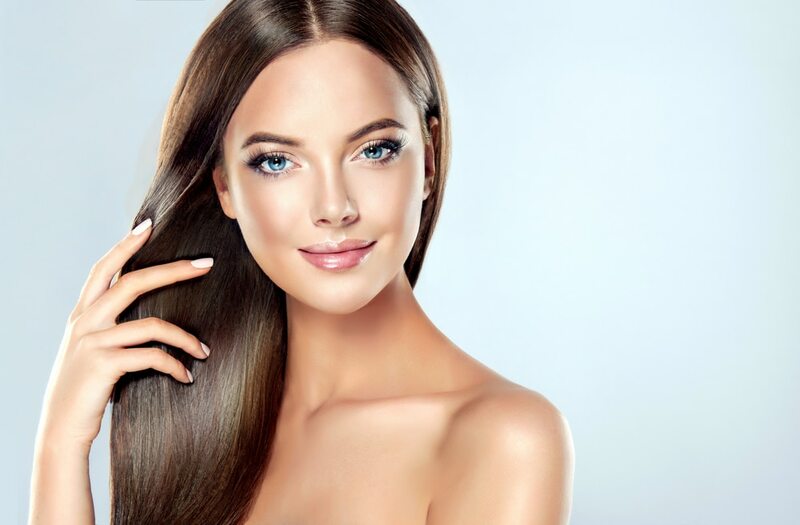 There are two major seasonal hair losses (sping and autumn) during which we can lose up to 170 hair a day (hormonal reasons triggerred by sun exposure changes). This is a normal process, and also induces a strong hair renewal. Hair loss is considered abnormal when over 100 hair falls daily for a relatively long period (up to 2 months). Men can suffer from this type of alopecia as early as 20-30 years old, stabilizing in their fourties. The gradual loss of hair is due to the influence of male hormones. If one acts before the baldness is complete, it is possible to slow even stop hair loss, thus preserving hair capital and stimulating new growth. Rarer in women, hereditary alopecia usually triggers diffuse hair loss rather than local baldness. Diffuse or localized hair loss, as well as dull and devitalized hair, touching both men and women. Often caused by stress, fatigue, hormonal disorders, iron deficiency, irradiation, chemotherapy, or even pregnancy. It can also occur after menopause, when the protective role of female hormones has disappeared. The hair becomes more fragile, its life-span decreases and a definitive alopecia finally appears. In women, hair loss is more diffuse and extensive than in men. The cause may also be nutritional deficiencies (deficiency of iron, copper, zinc, silicon, vitamins B). This kind of deficiency would reach about 20% of people practicing a moderate to severe diet. However, it is more often associated with problems of bulimia or anorexia. Most often, as soon as the deficiency is treated, the person will regain his hair after a period of time that can be up to 2 years. The cause is usually a skin problem, a burn, parasites, etc. A drug treatment (provided by your dermatologist) can overcome it. Appears at birth, very rare. Autoimmune cause, local bald patches which can appear on any area of ​​the body. What alopecias can we treat? All acute alopecias (caused by stress, fatigue, pregnancy or menopause) are reversible. 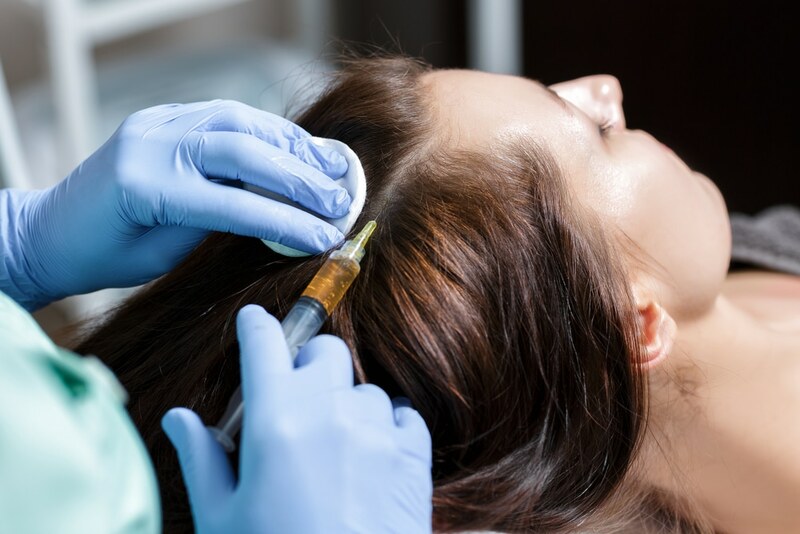 With mesotherapy, you quickly stop hair loss, your hair is intensely nourished, regaining shine, texture and beauty. Hereditary baldness, or androgenetic alopecia is very difficult to treat if already well advanced. It's better to intervene before! It is particularly advisable to practice meso-hair sessions in predisposed patients (when father, brothers tend to baldness) to delay and prevent hair loss. 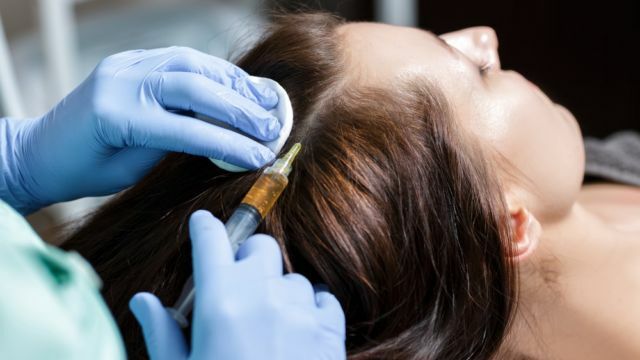 Mesotherapy, combined with a strong vitamin regimen and active anti-hair loss techniques can save your hair! 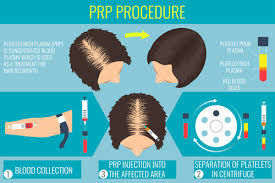 PRP : micro-injections to the scalp of platelet-enriched plasma, prepared from your own blood, inducing sustainable cell regeneration.